‘Safe’, disposal of offensive waste is a critical and sensitive issue requiring attention in every working environment. There can be potential risks of infection and illness from cross-infection, if correct hygiene precautions are not taken. 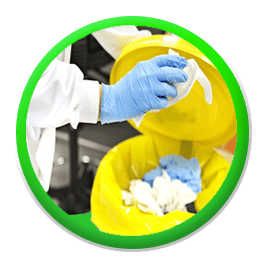 AHS waste collection service brings a discreet, solution to your business needs, whilst helping you to comply with legal requirements which govern the safe containment and disposal of such controlled waste. There are several laws and regulations in the UK concerning the disposal of offensive/hygiene waste and they could lead to substantial fines if offensive waste is not managed responsibly and professionally. Offensive Waste is defined in the Controlled Waste Regulations 2012 as being waste which is unpleasant and may cause offence to the senses. 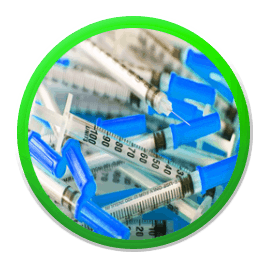 Offensive waste is non-infectious, but only a few specific waste types are suitable to be placed into an offensive waste sack without strict and carefully documented procedures being put in place beforehand. See what is classed as Offensive Waste here. Upon each scheduled visit your designated, uniformed Service Technician will provide you with the required waste transfer note to cover all transfers of non-hazardous waste for your records. This will help you during any audits you have from Regulatory Authorities. AHS chooses to dispose by ‘waste to energy recovery’ method, for a positive impact on our global footprint; supplying steam and hot water to hospitals or district heating schemes. Nontoxic and biodegradable, the active plant extract treatment within the unit, performs with no danger to the environment with rendering bacteria harmless and odour free. Within our modern range of units of variable size, we also offer a recycled plastic to further help you with your sustainable targets. Different types of hazardous waste fall under different categories, and it can often be a little confusing knowing what colour bag or receptacle you need for your business. More often than not, your business will have a mixture of hazardous waste which requires different bins and disposal methods by law. It is important to segregate your hazardous waste under HTM 07-01 guidelines. See what is classed as Healthcare waste here. The business types that will require this service are also very varied such as dentists, doctors, hospitals, vets, funeral directors and tattooists; as all may deal with clinical hazardous waste on a daily basis. With every waste collection that contains hazardous material you’ll receive a consignment note detailing the type of waste collected, its EWC code, the quantity, components, hazard code and container type. A copy is issued for you to retain, ready for auditing purposes. Understanding hazardous waste disposal and what it means for your business can be a lot to take in; especially when you get stuck into the detail of EWC codes, government legislation , bin / container varieties for each waste type and destruction methods of incineration, recycling or treated. We consult with each of our accounts to ensure the right service if selected and guidance is given. 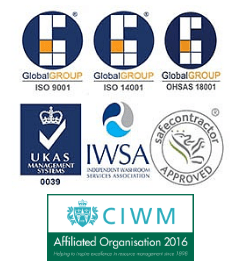 Contact us now for a free site audit.